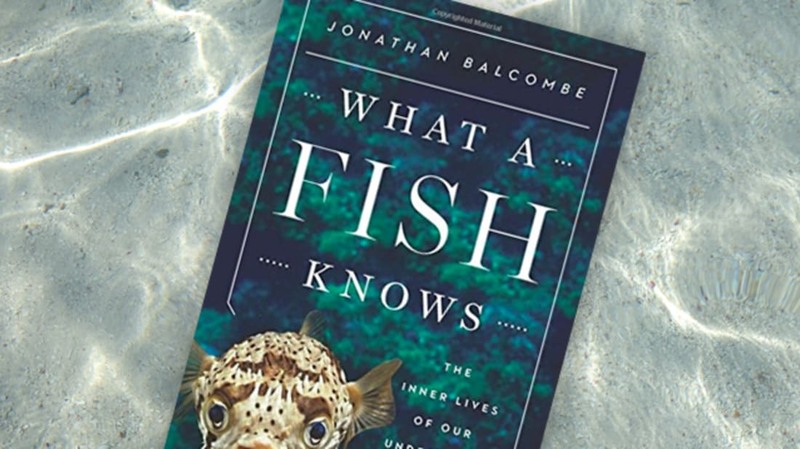 Jonathan Balcombe's new book What a Fish Knows bubbles with astounding fish facts. We talked with him about fishes' feelings, their families, and their fight squads. 2. THEY HAVE COMPLEX SOCIAL LIVES. But there are consequences for a cleaner fish who nips a client’s slime coating: The client will startle or jolt. That jolt tells the cleaner fish to knock it off, but it also tells the other fish waiting around and watching that this cleaner is sub-par. Those fish may very well take their business somewhere else. If those fish aren’t there, the cleaner may well keep nipping, but the client will likely find a new cleaner next time. 3. THEY CAN GO TO GREAT LENGTHS TO CARE FOR THEIR YOUNG. Like the Avengers, fish of different species team up to combine their powers. For example: Coral groupers will invite moray eels to join them on a hunt. Groupers are great hunters in open water and eels are unstoppable in cracks and crevices, which means that few prey can escape a moray-grouper team. And it gets better: They’ve learned to communicate across the species barrier. Researchers found that when a grouper finds hidden prey it can’t reach, it performs a “headstand,” pointing to its quarry with its entire body so the eel knows where to go. If the eel is too far away to notice, the grouper may swim over, shake its body to get the eel to follow it, return to the cranny, and point again. Outside of groupers, only two other types of animals are known to point: ravens and primates. For a long, long time, scientists assumed that fishes’ lack of external ears meant that they were deaf. We now know that they can hear just fine. Some species can hear even better than we can. And not only can they hear noises, but they make them, too. Fish can growl, bark, click, hum, whistle, and croak. Some fish are so noisy that they can be heard on land. 6. THEY HAVE GREAT MEMORIES. Studies have shown that individual fish can remember events, tasks, tests, and other fish for months and even years. And the goldfish’s notorious three-second memory is a complete myth—many pet owners and researchers have trained their fish to do tricks, a feat that relies on a solid memory of stimulus and reward. And then there are the frillfin gobies, little intertidal fish whose tiny brains can perform astonishingly complex calculations. At low tide, gobies often find themselves trapped in tide pools with hungry predators. With no ability to see the terrain around them, the gobies are able to leap into the air and land, with 97 percent accuracy, in a neighboring pool. How do they do it? Experiments in an artificial tidal zone found that, in high tide, as the waves wash the gobies ashore, they look down at the beach, memorizing the topography. When the tide recedes, the gobies’ brains translate that aerial map into an eye-level blueprint, telling them not only where they are, but where to jump to find safety. 7. THEY CAN FEEL PLEASURE AND PAIN. Cleaner fish bring their clients more than just hygiene. Experiments have shown that stressed out fish are more likely to seek out cleaners, and that the experience of being stroked or touched lowers their cortisol levels. In other words, it feels good.